I am still out of town from attending Evo Conference. It was such an amazing opportunity! Right now we are probably on our way home after a week of visiting with friends and family (post conference). 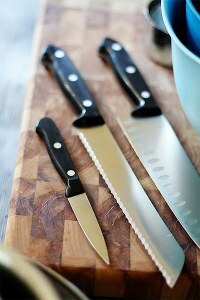 Please welcome Bree from Baked Bree for today’s GrowCookEat Garden Tour guest post. Thank you Bree for sharing your garden and beautiful tour video with us! Bree Hester is wife to a Coast Guard pilot and mother to 3 children. She and her family live in Carmichael, CA, which happens to be in Zone 9. This is her first year gardening and loves growing her own food. Weed pulling? Not so much. Bree spends most of her time in the kitchen and behind the lens shooting for her website www.bakedbree.com but also for her boutique photography business. This is our first year as home gardeners and we are really enjoying watching our garden grow. We decided to use a community garden because our backyard has rocky, sandy soil and very little sunlight. It is good for keeping our house cool, but not good to grow vegetables. We live in Carmichael, CA and we have had an unseasonably cool spring and early summer. We live about 2 blocks from our plot in the community garden and visit it daily or every other day to water it. One of the things that we love most about the community garden is the more experienced gardeners helping us out. They have provided us with a wealth of knowledge. We decided that this year would be an experiment to see what we could grow and just have fun with it. We have learned that we planted snap peas too late in the season and that some of the seeds that we planted may have been mistaken for weeds. We recently planted some new things in those spots and added mulch to cut down on the weeds. I use a ton of fresh herbs in my cooking and it is so nice to be able to use herbs that I grew in my own garden. Our children have gotten involved and have been learning about how plants grow and how to take our of them. All-in-all this has been a great experience for us and look forward to being life long gardeners. Thank you to Katie and the other gardeners at GrowCookEat for keeping us motivated and following along on our journey. What’s going on in your garden this week? Have you made any great recipes with your fresh produce or planted something new? I’d love to hear about it! 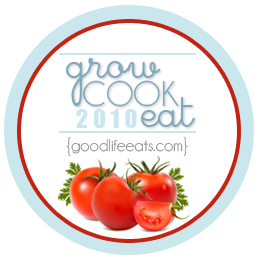 GrowCookEat Announcement: I am currently accepting Garden Tour guest posts from readers. If you are interested in giving us a virtual tour of your garden through photos, slideshow, or video please email me at goodlife.eats[at]yahoo[dot]com for more information. Thanks! Write a post about gardening on your own blog, don’t forget to mention www.goodlifeeats and GrowCookEat so that your readers know where they can learn more about GrowCookEat and gardening. Then, come back here to add the link to your post to the SimplyLinked form below. Don’t have a blog? Tell us about your garden in comments section of each post so we can all see what you’re up to. Let’s stay on topic, this isn’t an invitation to spam everyone with your blog. If your post doesn’t somehow relate to gardening, it will be deleted. Thanks for understanding.